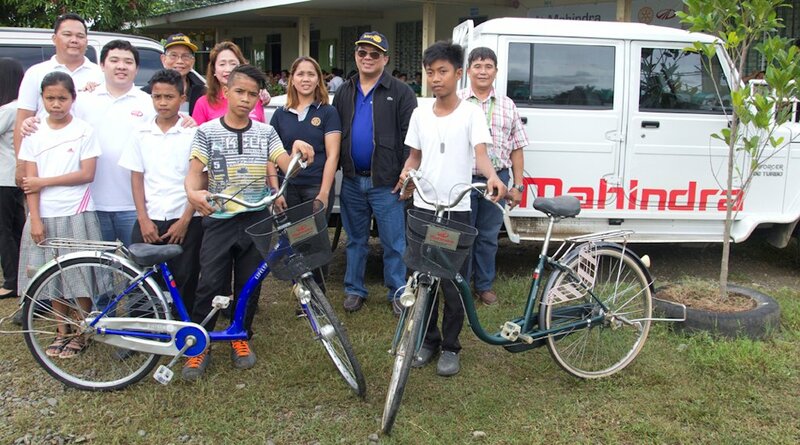 Mahindra Philippines, as part of their corporate social responsibility program, donated 50 bicycles to Maruhat National High School and 500 slippers to the Elementary School of Sapang Kawayan both in Gapan City, Nueva Ecija. In partnership with the Rotary Club of Meycauayan, this comes as a charity project to aid high school and elementary students of Sitio Maruhat and Sapang Kawayan, two depressed areas of Gapan City, at the foot of the Sierra Madre Mountains. The turnover ceremony was done last December 15, with representatives from Mahindra Philippines, The Rotary Club of Meycauayan, Bulacan, and administrators from both Maruhat National High School and Sapang Kawayan Elementary School present. Students of Maruhat National High School and Kawayan Elementary School endure the daily rigor of walking tens of kilometers of dirt road, and muddy terrain due to the lack of access to transportation. 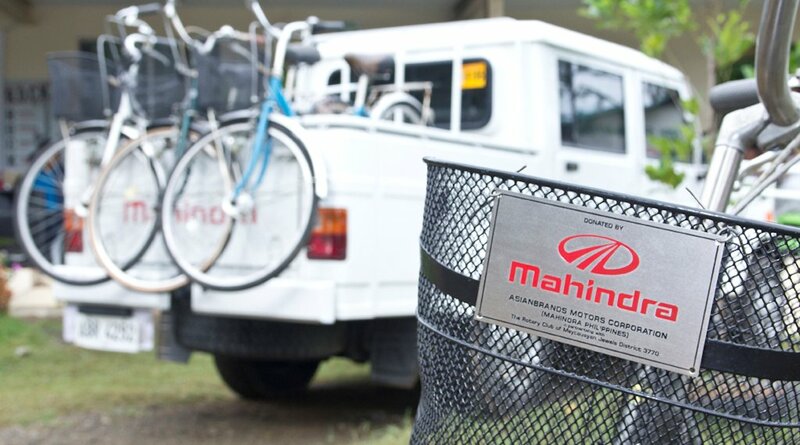 Mahindra Philippines, along with the Rotary Club of Meycauayan, partnered to provide a sustainable solution by giving bicycles, which will be made available for exclusive use of its students. Aside from this, 500 pairs of slippers were also provided to replace the students’ worn-out footwear. “At Mahindra, we rise to lift others,” said Mahindra Philippines senior marketing manager, Kristoff Arcega, referring to the Mahindra slogan. “While it is common knowledge that Mahindra is an active partner in our society providing the official transport of the Philippine National Police, our involvement in our community does not end there. We aim to do more by participating in activities that have a direct impact to our countrymen. This is just a start, rest assured that there will be more as there are endless possibilities to help assist our people,” added Arcega. Mahindra is currently the country’s provider of the Philippine National Police (PNP)’s patrol jeeps being used to transport our police force around the country and even to its remote areas. In India, Mahindra produces the No. 1 light commercial vehicle, and is also the mainstay of the Indian military and security forces, as well as the workhorse in most countries of Africa, Europe and Australia. MAHIRAP HUMANAP NG PIYESA ANG MAHINDRA. DAHIL MADALING MASIRA ANG MAHINDRA. HUWAG KAYO BIBILI NG MAHINDRA KUNG AYAW SUMAKIT ANG BULSA AT ULO NINYO!!!!!!!!!!!!!!!!!! !